Sabbath Walk: What Should Christians Do With "Santa Claus?" Title: What Should Christians Make of Santa Claus? MAIN POINT: Christians need not blast 'Santa Claus' away with theological cannons. Joining in the celebration with non-Christians does not necessarily mean a Christian 'believes' or worships Santa. They can participate in good Christmas fun without compromising their faith. They can point others toward the more important things in life. They can display the grace of Jesus in giving and forgiving. - "Santa Claus is coming to town;"
- "I saw mommy kissing Santa Claus." - "Here comes Santa Claus." If we include the songs surrounding Christmas trees and symbols surrounding Santa Claus sleigh, animals and all, the list is even longer. Maybe it is because marketers are trying to create some kind of a Christmas spirit for people to join in the shopping frenzy. Maybe it is to make children happy, and make the child in each of us, happy too. Each December, practically all TV stations will be screening movies with Christmas themes behind them. No doubt, newer and snappier shows about Santa Claus are outstripping older and more traditional themes on Jesus and Christianity. For Christians, what are we to make of Santa Claus? How should Christians respond to the increased secularization of Christmas? Unfortunately, some Christians take the wrong extreme. On one end, some Christians have gone on the offensive each year, attacking 'Santa Claus' as satanic or myth. On the other end, others have become so clueless about the Christmas story themselves that they know St Nicholas and the reindeer more than the birth of Jesus! Christians can celebrate Christmas amid the flood of red-nosed reindeers or over-sized fellows in red costumes. Whether we like it or not, the world we live in is not going to give the traditional Christmas message any bigger stage than what they give Santa. If Christians dismiss Santa Claus too quickly, we may miss the hopes and joys secular people attach to them. Worse, they may not even take Christians seriously anymore, seeing them more as killjoys rather than Jesus' disciples. Christians need to adopt a more open approach. They need not be too combative about Santa Claus and the rising consumerism surrounding Christmas. Instead, they can co-exist with these images without allowing themselves to be absorbed into them. How can we do that? I have three brief responses to suggest to you my readers. In all these responses, we can still join in the festive mood without becoming grouchy about the commercialization of Christmas. We can participate in common goodness without dismissing the heart of giving. We may disagree with the costume and the character, but we can surely agree about the spirit of giving and receiving. While many shows and commercials parade products and things as gifts, perhaps Christians can see Christmas time as an opportunity to showcase and redirect people toward the greater gifts. Christmas is indeed a time for giving and sharing. The 'Santa Claus' symbol tends to disarm people into a free spirit of giving and receiving. The Ho-Ho-Ho syndrome gives people an opportunity to hang loose and relax. I know of many companies that organize year end parties and Christmas lunches. Rather than avoiding these 'secular' events for more religious types, I think it is important for Christians to remain involved in their marketplace, regardless of the Santa Claus images. Celebrating the occasion without mentioning Jesus literally, does not mean Christians are not witnessing for Christ in the marketplace. In fact, if Christians participate with open hearts, people will welcome Christians more. Do unto others what we want others to do unto us. If others see Christians accepting non-Christians for who they are, non-Christians will accept Christians for who they are. Christians can still join in the giving atmosphere without compromising their faith. Kids have been conditioned to expect presents. The taller the kid grows, the taller the expectations. We may even dismiss some of the modern expectations as overly materialistic. This attachment to things will not change overnight. There is not going to be an immediate paradigm shift under normal circumstances. However, Christians can still be tactful about directing people's attention toward the greater things. - "I ask to be a peacemaker on earth and to do goodwill to men." - "I ask to be a part of the solution instead of part of the problem." - "I ask to contribute toward reducing poverty, world hunger, and the underprivileged in society." - "I ask goodness and mercy to flow from me among the communities I interact with." - "I ask to play a part in fair play and justice in society." - "I ask for the gift of love, joy and peace that I can share with the world around me." - "I ask for boldness, courage and faith to be willing to do all of the above, with God enabling me." As Christians in the marketplace, after gaining the confidence and the friendship with non-Christians, we can become more credible witnesses to win an opportunity to point people toward good works. Hopefully, in the process, they will catch a glimpse of Jesus through us. Relationships remain a key fabric of society. In our emotional roller-coaster ride, the heart is constantly in motion. It is not easy for two persons to be in sync with each other every time they meet. A lot of grace is needed to understand. A lot of space is required for people to be rightly understood. When in doubt, forgive. When misunderstood, give others the benefit of the doubt. Christians can lead the way in doing all of these in their Christian witness. The question: "What does it mean to be human?" applies to all people. While the world remains fixated on things and material gifts that they can grab, Christians can choose to fix their minds on things that matter more to God. In summary, Christians should not dismiss the notion of Santa Claus. After all, most secular people know that Santa Claus is more myth than anything else. Let me summarize the three key points. Firstly, they may not even place Santa Claus on a higher plane in the first place. Hence, Christians need not be too offended, and are free to join in the decent fun, with or without the plump man in Red suit. Secondly, Christians are in an excellent position to point non-Christians toward the more important things in life. Since people are already in a spirit of giving, why not suggest them to give toward the greater gifts, and perhaps the Giver of all good gifts? Thirdly, the mark of the Christian is demonstrated by an attitude of grace and forgiveness. This single factor is perhaps the most powerful witness any Christian can be. May this Christmas period, with or without Santa Claus, be another opportunity to demonstrate the spirit of Jesus in all that we do. In our hearts, we know that Santa Claus is no competition to Jesus, for the day will come when all the world's santas will bow their knees to the Son of God. 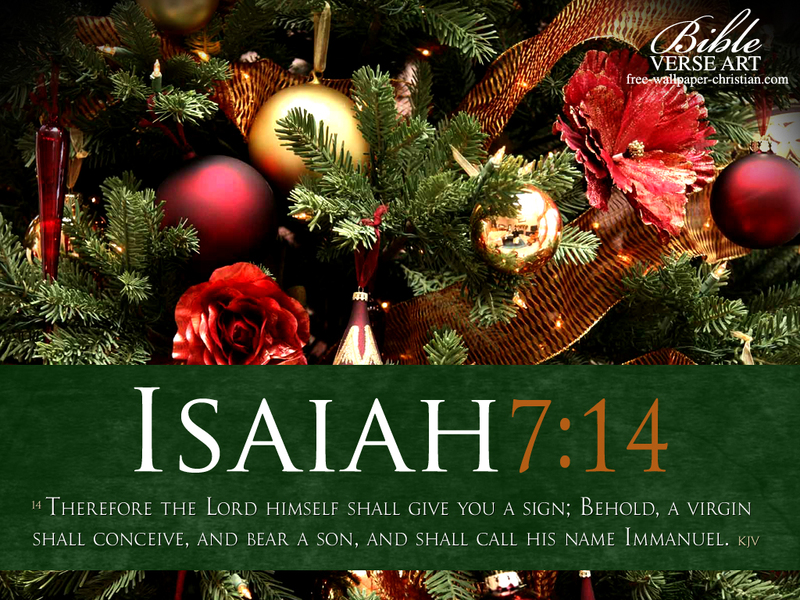 Sabbathwalk wishes all readers a Blessed Christmas. So in your town where you live do non-Christians naturally accept those who are believers and followers of Jesus Christ? Scripture is crystal clear that we as followers are to be like Christ. Christ himself was hated and most certainly persecuted on many levels and ultimately the Cross. We as Christians are NOT naturally accepted regardless of anything. We stand apart from the world, but only if we are being obedient children of God. In Paul's letter to Timothy it states (2 Tim. 3:12) " Indeed, all who desire to live a godly life in Christ Jesus will be persecuted,". Also in the gospel of John in chapter 15 starting in verse 18 Jesus states "If the world hates you, know that it has hated me before it hated you. 19 If you were of the world, the world would love you as its own; but because you are not of the world, but I chose you out of the world, therefore the world hates you. 20 Remember the word that I said to you: ‘A servant is not greater than his master.’ If they persecuted me, they will also persecute you. If they kept my word, they will also keep yours." As a Christian we are going to be persecuted it is clear cut, I am not saying that it is easy by any means but we are to be obedient and follow Christ if we are His children. The road to follow Jesus is narrow it is not far and wide that path leads to destruction and an eternity without a Savior. Now to get to your main topic, Santa Claus, I have and hold to the opinion that one it is a lot easier to do Christmas without Santa Claus and that Christians should not do Santa Claus. He is nothing but a distraction from the real reason of Christmas. I have no personal issue with presenting the story and history of St. Nicolas/Nicholas but presenting him as the magical being that can fly around the whole world in one night I DO have an issue with. People will say oh it's just a story your taking it too seriously lighten up let your kids do the whole Santa Claus. God is beyond clear about LYING. Telling your children there is such a thing as Santa Claus is a flat out lie. There is no dancing around this fact of the matter that you are lying to your kids. In Psalm 119:163 The Lord states "I hate and abhor lying: but your law do I love." In Colossians 3:9 it states " Do not lie to one another, seeing that you have put off the old self with its practices". Our Father hates it when we lie, our sin is what makes us set apart from Him. We are not to be of the world, we are to keep ourselves unstained from this world. (James 1:27) In this day and age we take so many things lightly that we should consider taking a closer look at and examine our hearts. My hope for all Christians is for us to have a true and honest desire to follow Him and serve Him and to NOT look like the world and even more so be so caught up with the things of this world. I don't understand why Christians (being a Christian myself) think that Santa Clause is a NON Christian thing. For God's sake, Santa Clause is the celebration of the life of Saint Nicholas (santa= latin for saint. Ni-cholas). I'm not Catholic, but this man lived long before even the Catholic church canonized saints. A man who was born in the first couple of centuries after Jesus's death, a bishop of a Christian church in present day Turkey, who was imprisoned and tortured for 10 years under the rule of Emperor Diocletian for refusing to renounce his faith in God, who punched a guy out in front of Emperor Constantine at Council of Nicea in 325 AD because the guy said Jesus and the Word of God are created and did not always exist, a man who gave every breath of his life to serving the Lord God. 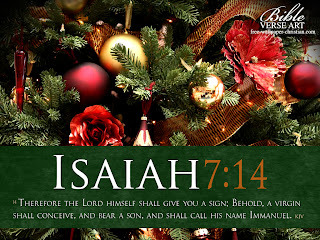 He has his own holiday on Dec 6th LONG before people decided to celebrate Jesus's birth on the 25th (but probably got associated with it because of how close the dates are). After all, Jesus was born in March, and His birth wasn't celebrated as a holiday until it was used as a way to introduce the Word of God to pagans who celebrated the winter solstice in December. The problem is, a lot of people don't educate themselves anymore. The practice of Santa comes from his coming by night to give the poor man a dowry for this daughters so that the poor man didn't have to sell his daughters into slavery. In that way, Saint Nicholas / Santa Clause has ever since been a fun illustration to show God's love and the true spirit of giving. Oddly enough, it is modern day Christians that have tainted that. Christians, educate yourselves. You should be ashamed if you don't yet realize that Saint Nicholas is a real man--and, yes, with John 3:16 as my witness, he is very much alive. However, it is YOUR duty to teach your children why. And, if you choose not to introduce Santa Clause to your children, that is fine. I don't mind. But it is absolutely unacceptable for you to tell other people's children (or worse, recently people have trained their children to tell other people's children) and dash the joy his memory gives other families. I've seen some people do this quite cruelty as though the mention of Santa Clause disgusts them and insults them. The only one who thinks better of you for it is you. You've gained no friends, and probably hurt more people than you've "helped." But I think they know that.